The amount of available information is constantly increasing, and it needs to be quickly and easily accessible. If you're looking for ways to declutter and reduce your storage-space requirements while having within easy reach all the information that you or your clients need, consider our digital-archiving services. 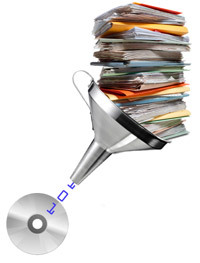 Digitized documents are easy to store and are optimized for searching, placement on the Internet, and research use.